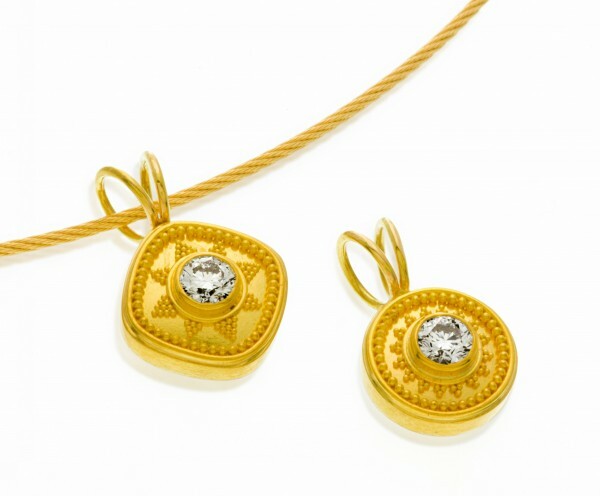 22K gold with .25 ctw diamond on an 18K gold cable (available in 16” or 18”). Pendant available in the round or cushion shape and measures approximately 9/16”. This piece is also available with the gemstone of your choice.